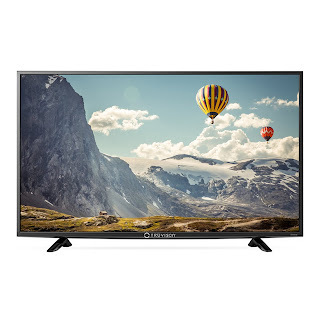 Truvison, a Europe-based consumer electronics & appliances Company delivering superior-quality and above that, all upgraded technology across the globe, announced the launch of its newest 50-inch TV – ‘TW5067”. Paired with Full HD display & amazing picture quality with clear sound technology, redefine your experience with big screen and bigger entertainment. Truvison’s Full HD TW5067 definitely compliments and complements the charm which acquaints you to the sphere of endless entertainment. The slim design, narrow bezel and smooth finish gives it an aesthetic appeal. With the pixel resolution of 1920x1080 pixels, the 50inch guarantees enhanced picture quality.The striking luminous bright Display and contrast settings proves it to be the right choice for balanced picture viewing experience. It offers a widescreen display of 1920x1080 p whichallows you view the media content effortlessly from any angle. Thoughtfully designed the revolutionary Cornea Technology is a boon for people who have a very increased usage of TVs and causing a lot of strain on their eyes. The 50inch LED TV gives an advanced sound quality with Dolby Digital Plus Sound Technology and Dual 5 W speakers. It allows you to view your favourite collection of movies or soundtracks with rich and deep audio output. The internal speakers of TV are equipped with the Clear Voice-2 Technology that evenly distributes the HD sound around every corner where it is placed. With the Virtual Surround Sound System, the TV delivers soothing yet amplified sounds.